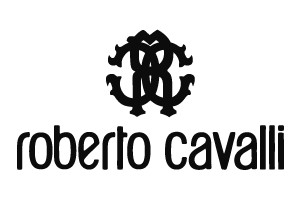 Roberto Cavalli is an Italian clothing shop that sells luxury clothing, accessories, and much more. The carefully crafted products show off the unique style of this brand. Whether on the runway or in your daily life, Cavalli has made a big statement in the fashion world. With Big Apple Buddy’s personal shopping service, you can now buy direct from the Roberto Cavalli online store anytime, anywhere. There is no better coat for the winter than the Overcoat with Removable Fur Collar of the Roberto Cavalli collection! The beautiful color stands out in the best way possible while the fur neck provides the warmth you need for the season. Its soft-to-the-touch material makes it comfortable to wear all day and is never too hot or thick. Best of all, you can combine it anything you wear underneath. Looking for the perfect dress for a night out? The Absinthe Dress with Gemstone Collar from Roberto Cavalli is one of the most popular options of the season. The elegant, flowing dress includes intricate designs that combine with whatever accessories or shoes you decide to wear. Meanwhile, the cuts on the front and back which allows breathability and a unique touch to the long dress. Stay cozy with the Sheepskin Overcoat with Lapin Collar of the Roberto Cavalli collection! It's a unique coat with extremely rare material that is durable and soft to the touch. Wear it with a beautiful, long dress underneath and allow the color to stand out against this more toned down hue. The lapin fur collar makes this coat a unique fashion statement and perfect for any occasion. Unfortunately, the USA Roberto Cavalli online store does not currently offer international shipping. However, Big Apple Buddy, your personal shopper, can help you buy products direct from the official USA Roberto Cavalli online store and ship them to your doorstep, no matter where you are in the world. We offer international shipping to over 190 countries including Australia, Austria, Bahrain, Belgium, Bosnia & Herzegovnia, Brazil, Brunei, Canada, China, Croatia, Cyprus, Denmark, Estonia, Finland, France, Germany, Hong Kong, Hungary, Indonesia, Ireland, Israel, Italy, Japan, Kenya, Kuwait, Lithuania, Macau, Malaysia, Maldives, Mexico, Namibia, Netherlands, New Zealand, Norway, Oman, Pakistan, Portugal, Saudi Arabia, Scotland, Serbia, Singapore, Slovenia, South Africa, South Korea, Spain, Sri Lanka, Sweden, Switzerland, Taiwan, Tanzania, Thailand, UAE, UK and Ukraine. If you would like to buy from the USA Roberto Cavalli online store, simply let us know which items you would like to order (by filling out the form on the right) and we’ll get back to you with a free international shipping quote within 24 hours!